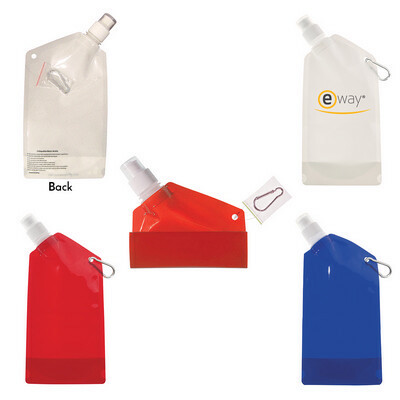 Features: This collapsible bottle has a capacity of 800ml. ;It features a leak-resistant push & pull lid and a carabiner for easy attachment. Price includes : 1 COLOUR 1 POSITION PRINT. Setup is included.